The South African Rugby Legend Association (SARLA) VUKA programme continues to reap rewards for its work in the development of rugby at a grassroots level in the Gauteng East Region. The latter was acknowledged on Tuesday 4th December 2018, through the Gauteng East Educational Support Awards Ceremony, held at the Springs Civic Centre where SARLA’s VUKA programme support members were both acknowledged and celebrated for their incredible achievements across this region. The VUKA Programme, now in its tenth year, is respected as a ground-breaking initiative, playing an ongoing and major role in the transformation of rugby across South Africa. By both uplifting and empowering the youth from previously disadvantaged areas through the provision of regular access to rugby training, the programme, established in the Western Cape in 2008 with only 3 participating schools, has grown exponentially. 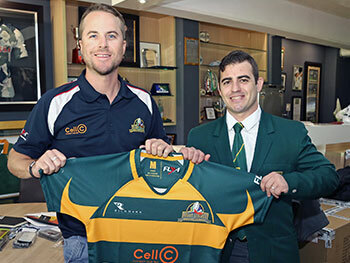 Today the programme’s reach extends to over 478 schools in 11 of the 14 official SA Rugby Unions across South Africa. Rugby Unions who embrace the programme include the Western Province, South Western Districts, Eastern Province, Griffons, Griquas, Lions, Bulls, Leopards, Falcons, KZN and Free State Rugby union regions. In addition, today there are more than 300 committed coaches who take part in this initiative. Further, forming part of the SA Rugby’s national development objectives, VUKA receives their full support and endorsement, reaching both boys and girls between the ages of 15-19. This ensures that our youth receive the positive benefits of regular coaching sessions which provide essential life lessons both on and off the field. In addition, opportunities for scouting and identification ensure that players with talent are selected for various rugby events throughout the year. 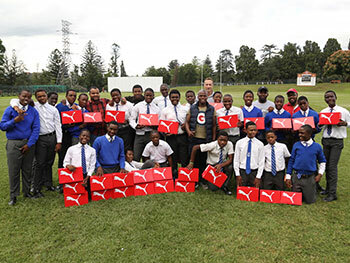 The success of the VUKA programme is based on the involvement of the community across all levels and includes numerous annual events for both support staff and players, including BokSmart, Legends Cup, Carfind.co.za.za Iqhawe Week plus workshops and educational activities from the South Africa Institute for Drug Free Sports (SAIDS). In the Gauteng East region, for 2018, VUKA received recognition across vital categories, namely, Sport Code of The Year, Administrator of The Year and Coach of the Year. Temperance Sibutha, co-ordinator for the VUKA Etwatwa Zone, received both the Sport Code of The Year and Administrator of The Year Awards whilst Katlego Tsagane, VUKA and Carfind.co.za Iqhawe Week Coach was placed first with Tebogo Mochaba, Tsakane VUKA Zone Coordinator and Iqhawe Week Coach, was placed second. 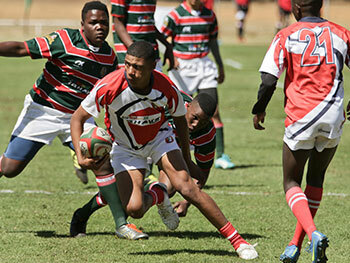 The 2019 Vuka Rugby season kicks-off in the second school term with weekly training and matches before teams are selected for the Legends Cup Tournament in July and then later for the U15 Team for the Carfind.co.za Iqhawe Week in October.